Join our mailing list for the latest news and action alerts! This month we celebrate the accomplishments of trailblazing women who have left their mark in the United States. 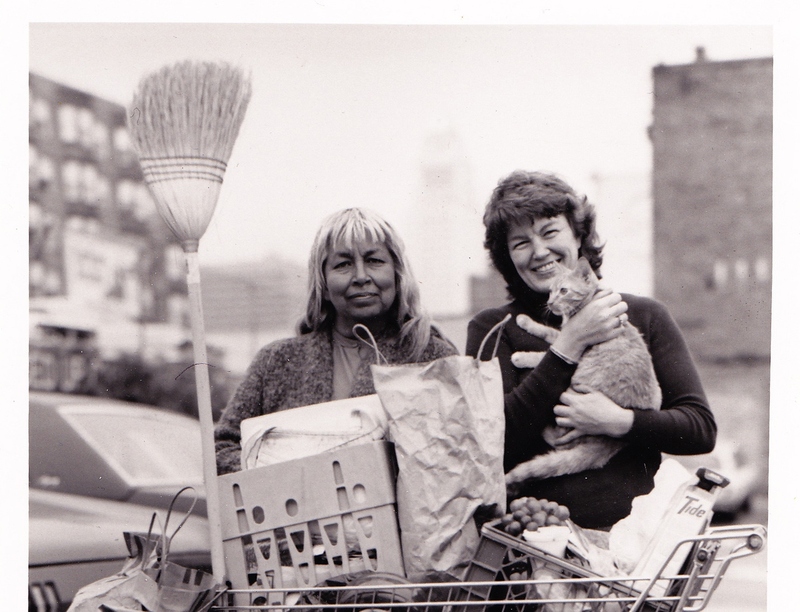 At the Downtown Women’s Center, we celebrate Women’s History Month with a special tribute to the two women who started it all – Rose and Jill, pioneers in the work to end homelessness for women. 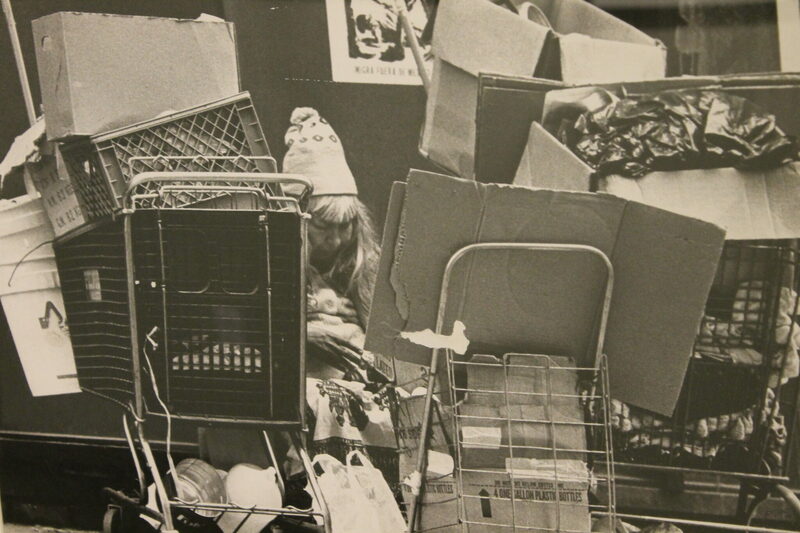 It was 1975 and Rose Arzola was living in a parking lot in downtown Los Angeles’ Skid Row. Rose was one of many women with mental illnesses who ended up on the streets of downtown LA in the wake of deinstitutionalization – the state’s removal of mentally ill patients from psychiatric hospitals due to facility closures. Rose had cleaned homes and cooked meals for families in Los Angeles when she began to experience signs of mental illness that grew in severity in her 20s. She was in and out of psychiatric hospitals until she ended up homeless on Skid Row. Unfortunately, for Rose and countless others like her, agencies at the time were unaccustomed to serving women or addressing their basic needs. Most were slow to adapt to the changing gender of homelessness. Despite the conditions, Rose was exceptionally resourceful in building a life for herself on the street, maintaining a bathing ritual with two pails of water warmed in the sun to stay clean, and cooking for friends over her makeshift stove. Jill Halverson, a former Peace Corps volunteer, was working on Skid Row as an outreach worker. In 1975, a group of men with whom Jill had been working introduced her to their friend Rose, who was living with her two shopping carts and personal belongings in a tiny spot of abandoned downtown LA. Jill began to visit Rose to say hello or chat over coffee. The more time they spent together, the more Jill realized that Rose was a bright, loving, interesting woman with a keen sense of humor, who had fallen victim to circumstance. Jill was moved to action. Witnessing the difficulties faced by Rose and other homeless women, Jill set out on a course to change the landscape of services for women in Los Angeles. 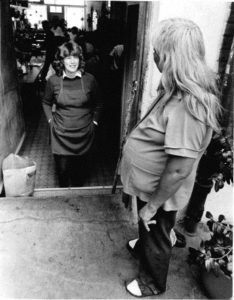 Using her personal resources, in 1978 Jill opened the Downtown Women’s Center to provide hot meals, showers, clothing and a safe place for women during the day. The rest is, as they say, history. Or should we say, herstory. Jill and Rose started something bigger than themselves that continues to this day. DWC began by serving a few hundred women a year, and today we serve an estimated 4,000 annually. DWC continues to champion the voices of homeless women. We’re proud to honor the great work of two of Los Angeles’ little-known change-makers. DWC is grounded in the fight for women’s rights, thanks to the sacrifices of Jill and Rose. Thank you, Jill and Rose, for your courage, your strength, and your vision. To support our continued work with women in Skid Row, please consider making a monetary donation or discovering our volunteer and advocacy opportunities! 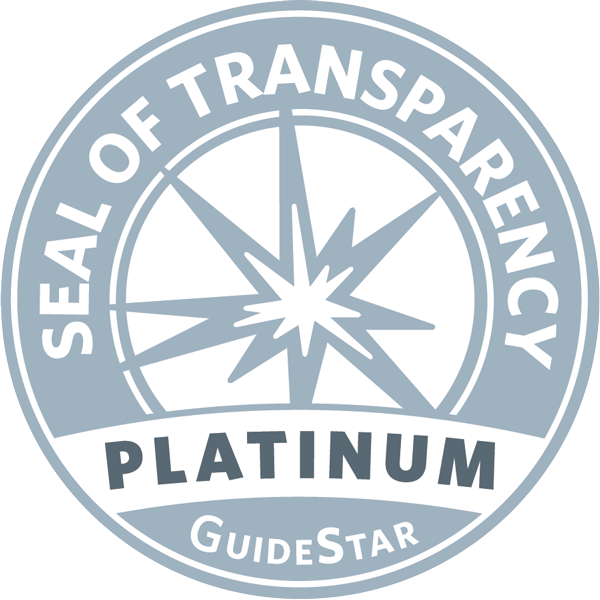 Find out more about our generous donors and supporters here. Interested in making a contribution to DWC? Donate online here.